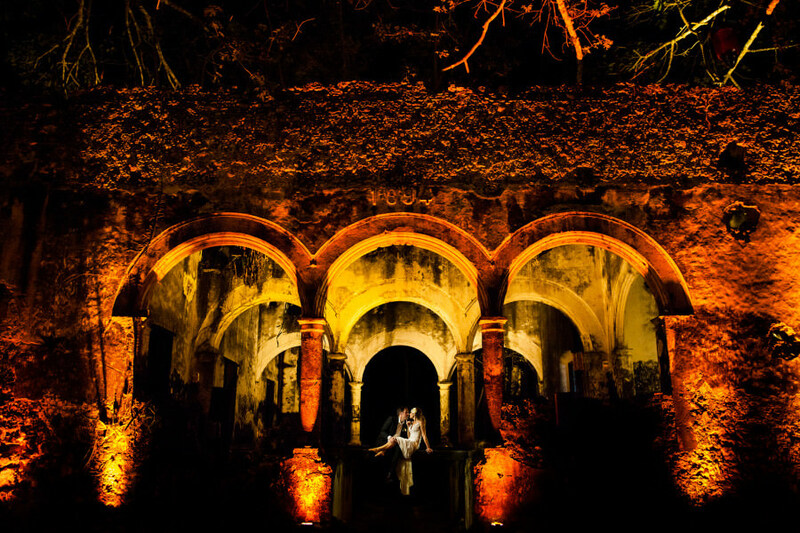 Hacienda Uayamon in Campeche, Mexico, will always be the best wedding venue in the world, in our minds, because that is where we chose to have our own wedding. We had always known we wanted to have a destination wedding in Mexico, but we wanted something different from a beach wedding. 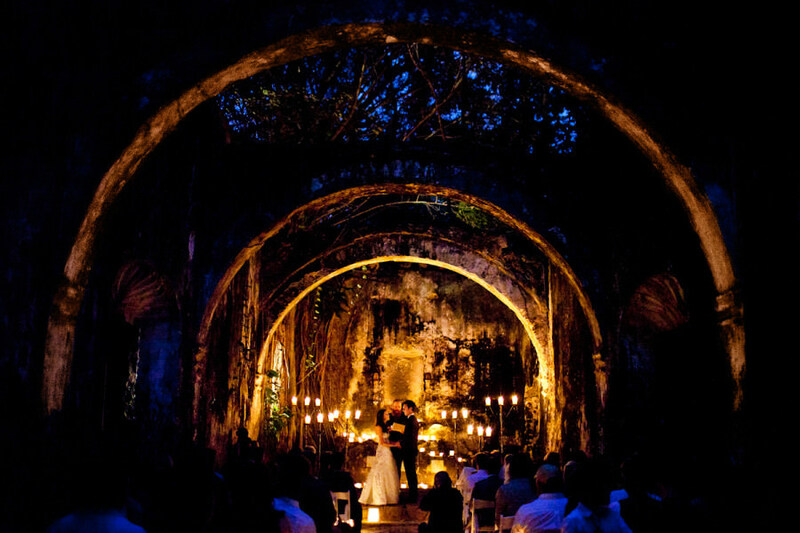 We also wanted a candlelit ceremony in chapel ruins. This proved hard to find in Mexico, and in fact Uayamon is the only spot we know of in Mexico that has well-preserved chapel ruins. We filled the chapel with candles and had a tear-filled, romantic ceremony in front of our closest family and friends. 1. Uayamon has only 12 rooms, but has a sister hotel 30 minutes away in town with 15 rooms. It’s called Hacienda Puerta Campeche. We had our rehearsal dinner here on the rooftop. 2. Uayamon is perfect for a completely outdoor wedding. 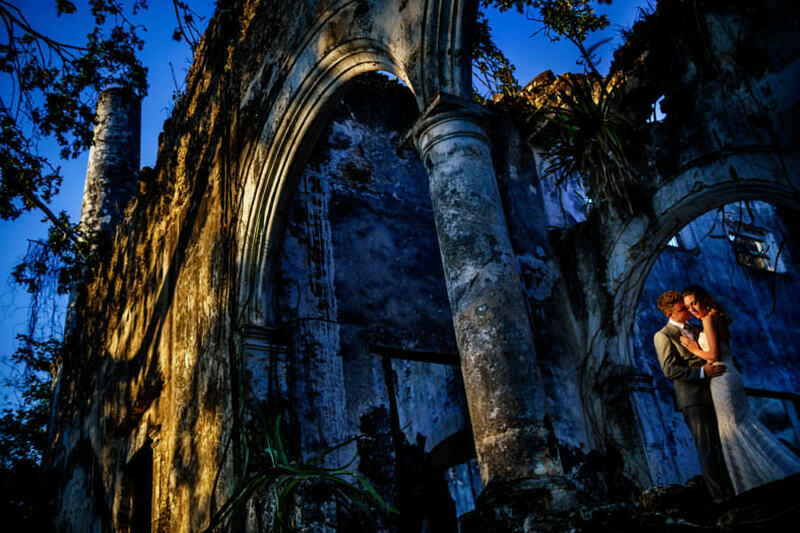 Get married in the open-air chapel, and dance under the stars by the big ceiba tree. 3. We recommend contacting the destination wedding planner we used, Deleite Eventos. They are great at what they do and will be able to plan everything so you don’t have to be stressed during your big wedding weekend getaway.